The show everyone is raving about its The Supreme Dream Girls of Motown Show! Celebrating the history of Motown with all the classic hits of the Supremes, Three Degrees, Martha Reeves & The Vandellas, Mary Wells, Aretha Frankiln, Tina Turner and Sister Sledge. The show also features other famous divas of the era. The Dream Girls of Motown are Synethia Foster, Eartha Sims, Tamara O'Shea and Jasmine. Together they reproduce the sounds of the Supremes "Old Skool" as it was done "Back in the Day". With their amazing vocals, high energy dancing and charismatic stage presence you will be dancing in the aisles as you soak up the atmosphere. 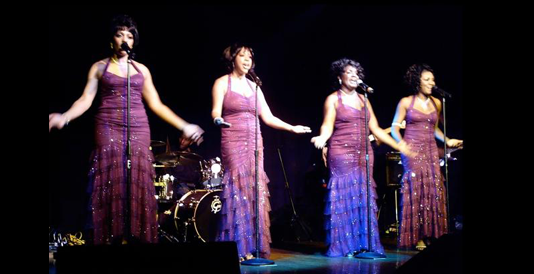 The Supreme Divas of Motown will leave you breathless, don't miss them.